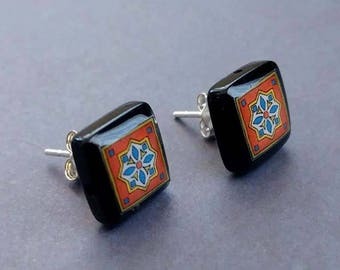 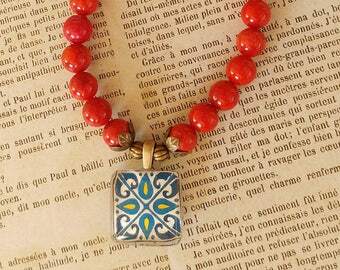 Catalina Pottery, Spanish, Mexican & Mediterranean tile work inspired this jewelry series. 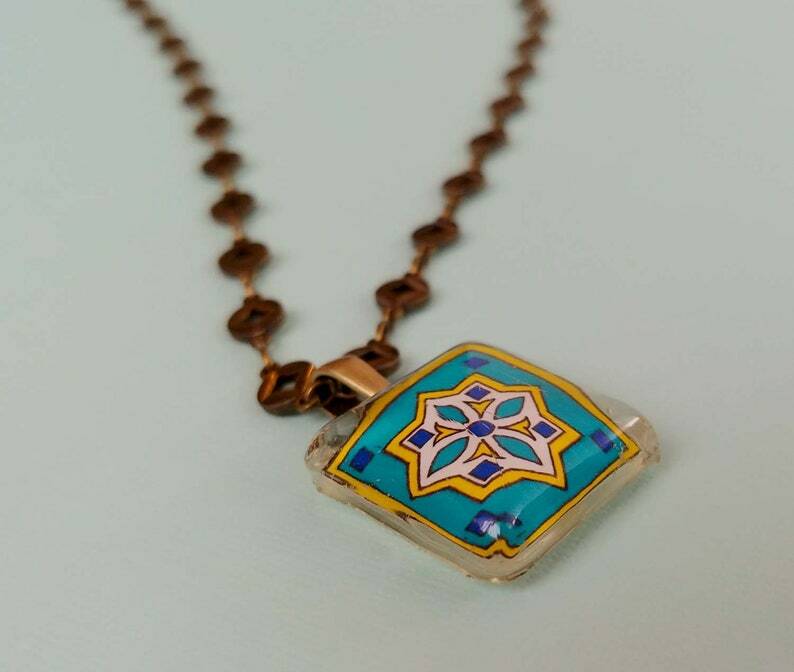 I am lucky enough to be surrounded by it where I live here on Catalina Island! 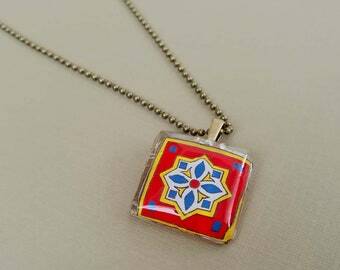 The pendant is my original tile design under clear glass. 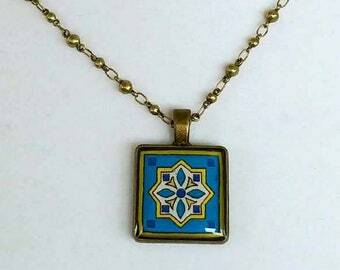 The pendant hangs on an antiqued gold plated brass chain. 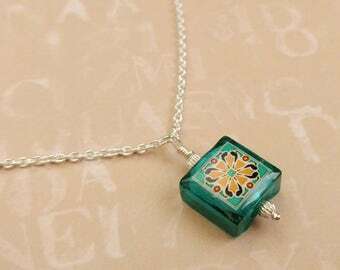 The pendant is 1" square and the necklace is available in lengths of 16", 18" or 20".